At the NGC Food Bank, families in need will find food, donated and freely given by the people of New Generation Church, as well as several other community partners, organizations and caring people who wish to share the love and compassion of Jesus Christ. NGC Food Bank distributes food to low-income families, seniors, and homebound individuals with limited fixed income. 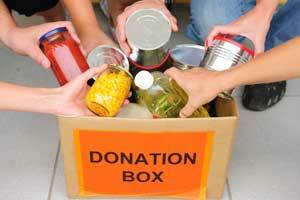 Please consider donating food to NGC Food Bank. Pick up a few extra items next time you are at the store, and drop them off at the church office during the week, or in the box in the Fellowship Hall during weekend services. It will be very appreciated! For more information about NGC Food Bank, please email info@newgc.org.